“God is good even when life isn’t.” This served as more than just a motto but a steadfast belief of Ken Szeto who valiantly fought pancreatic cancer for over seventeen months from his initial diagnosis. As of November 6, 2018, Ken is now free of cancer, pain, nausea, fatigue, exhaustion, itching, poor appetite, and weight loss. Ken passed away peacefully while surrounded by his loved ones at MD Anderson in Houston, TX. Vitus Kenneth Samuel Szeto joined life on earth in Hong Kong on November 4, 1957, as the oldest son of (the late) Wing Szeto and Mui Kuk Szeto. As an immigrant to the United States as a young five year old boy, Ken faced several obstacles throughout his life but persevered and succeeded. He had a lifelong passion for sharing that the faith, hope, and love of God is sufficient for whatever trials and challenges that anyone could face in life. A man of many talents, Ken loved playing tennis, the trumpet, and most importantly with his granddaughters. Because his daughters attended UT, Ken avidly cheered on the Tennessee Vols. He aspired to write a novel, and while he did not get the chance to pen his reflections on dying, he inspired and encouraged those around him in person and on social media. He is survived by his daughters Jennifer Youngblood and Amanda Phillips, his sons-in-law Ryan Youngblood and Mike Phillips, his granddaughters Payton Phillips (whom he affectionately called SweetP which was coined by his late wife Lynette) and Ava Youngblood, his mother Mui Kuk Szeto, his sisters Teresa Goo and Judy Pace, his brothers-in-law Edgar Goo and Darrell Pace, his brother Marvin Szeto, his sister-in-law Amy Szeto, his stepdaughter Jessica Cohen, his stepson Zach VanNieuwenhuyze, nieces, nephews, and many extended family. Ken had a warm heart in anticipation of his first grandson Mason Phillips. A joyful Celebration of Life service will be held at 12:00 pm on Sunday, November 18, 2018, at The Majestic Grille in Memphis, TN. 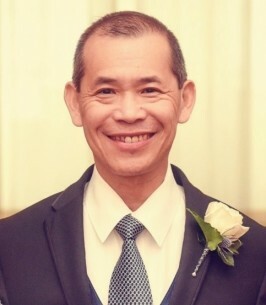 In lieu of flowers, the family has requested that charitable donations be made in memory of Ken Szeto to Pancreatic Cancer Action Network (PanCan.org). To send flowers to the family of Vitus Kenneth Samuel Szeto, please visit our Heartfelt Sympathies Store. We encourage you to share any memorable photos or stories about Vitus. All tributes placed on and purchased through this memorial website will remain on in perpetuity for future generations.